This CRI Naturals Paragon Fish Oil review has been put together to help users know more about the efficacy of the product with regards to providing its users with omega-3 essential fatty acids. CRI Naturals claim that their product is made from pure fish oil that aims to provide support for heart health, regulate cholesterol levels, and inhibit inflammation. The question now is whether there is truth to their claims. If you want to know more, read our CRI Naturals Paragon Fish Oil review. Based on our research, the presence of EPA and DHA is essential when it comes to Omega-3 essential fatty acids and this product has higher numbers compared to others. Omega-3 is known for its ability to help keep our cardiovascular system running smoothly for protection against heart troubles like stroke and heart attack. Both EPA and DHA are also known to reduce triglycerides in the blood. To use Paragon Fish Oil properly, you should take two capsules per day. It is better to take these softgel capsules with a meal. It is also possible that you take more than two depending on the recommendations of your health care provider. From what we have gathered about this omega-3 supplement, there are no known side effects associated with Paragon Fish Oil. It is, however, better to consult your doctor before you take this supplement, especially if you are pregnant, breastfeeding, or if you’re taking other medications to avoid any complications. 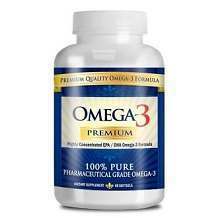 In terms of price, this omega-3 supplement can be bought online for $34.99 directly from the manufacturer. If you purchase two bottles, shipping will be free and you only have to pay $59.48. 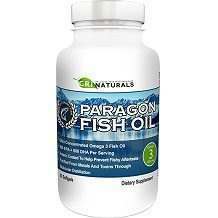 You can also buy three bottles of Paragon Fish Oil for only $78.72, with free shipping too. CRI Naturals offer its customers a 90-day money-back guarantee. If you are not satisfied with the product, you need to return it within 90 days from purchase to get a refund. This doesn’t include the price of shipping as it will be shouldered by the customer. You can return both the opened and unopened bottles if you want to get a refund. After studying the data that we have gathered for our CRI Naturals Paragon Fish Oil review, we have found some pros and cons to this product. What we like about this fish oil supplement is that it has high amounts of EPA and DHA compared to others on the market. Also, the 90-day money back guarantee is quite welcome especially since it allows more time for the customer to see if there are any changes to their overall health. However, we are not happy with the fact that the price for a single bottle is a bit pricey. Although there are discounts when buying two to three bottles, the prices may not be affordable for everyone.